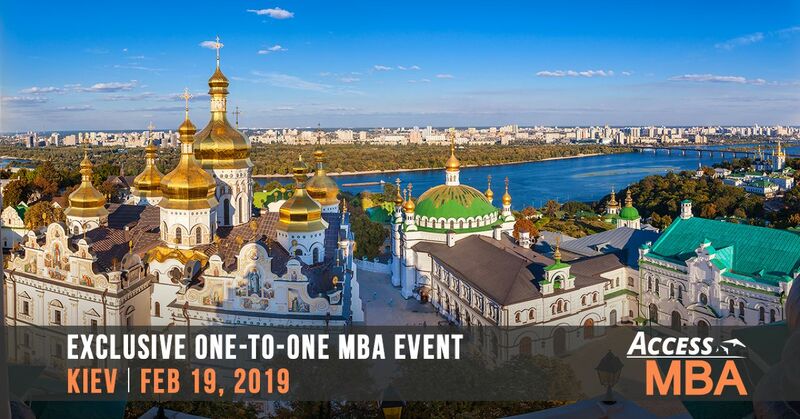 The worldwide leader in One-to-One MBA events is returning to Kiev on February 19, 2019. The world’s top business schools will soon be within your reach! Among the prestigious business schools participating in the Access MBA Tour: Frankfurt School of Finance and Management, ESSEC MANNHEIM EMBA, The University of Sheffield International Faculty, CITY COLLEGE, Rotterdam School of Management, WU Executive Academy, Duke University - The Fuqua School of Business, IE Business School, Rotman School of Management - University of Toronto, SDA Bocconi, HULT International Business School, York University-Schulich School of Business, University of Tampa and many more.